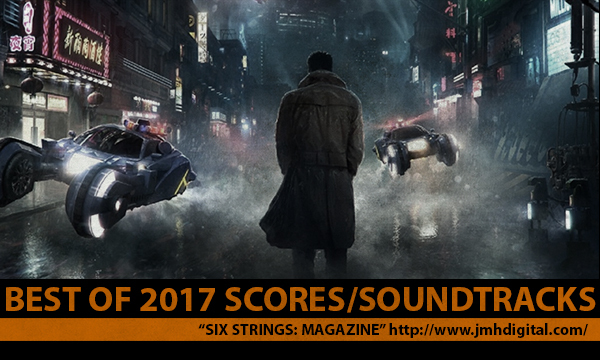 SIX STRINGS: MAGAZINE: "2017 BEST OF SCORES/SOUNDTRACKS"
There was a great amount of music released in 2017, this is not any where near the awesome soundtracks out there... this is just the stuff I found myself listening to the most, the first ten are CAR/HOME and the second ten are mostly at "HOME". Here are my choices and strictly my opinion... THANKS to all the labels, artists and films that made this possible!